Brilliantly colored assortment of red, pink, white and green mums. Top a fruit salad to bring it to the next level. 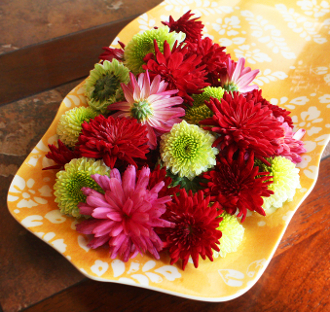 Decorate a buffet table or cheese platter. Add fresh smells of spring to your plates!